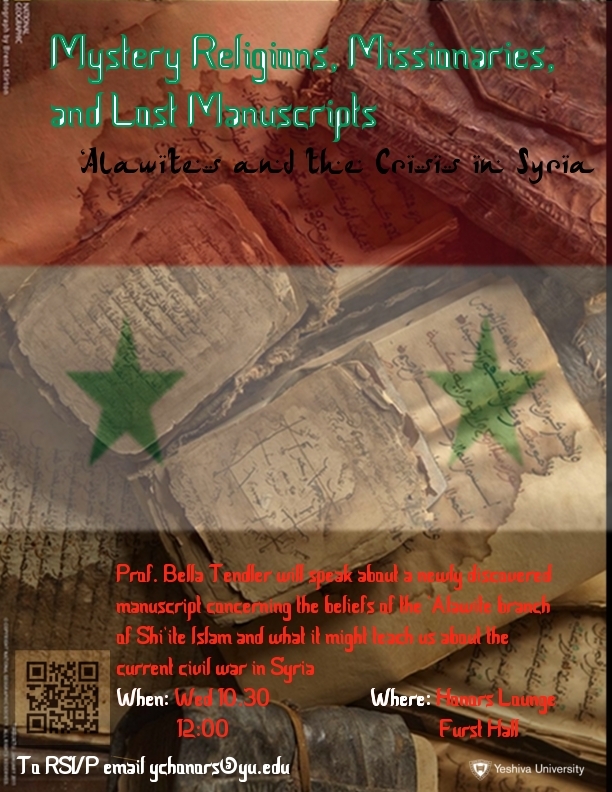 Tomorrow, 10/30, in the Honors Lounge, Prof. Bella Tendler will give a talk entitled “Mystery Religions, Missionaries, and Lost Manuscripts: Understanding the ‘Alawites and the Current Political Crisis in Syria”. The talk will take place at 12 PM, and pizza will be served. 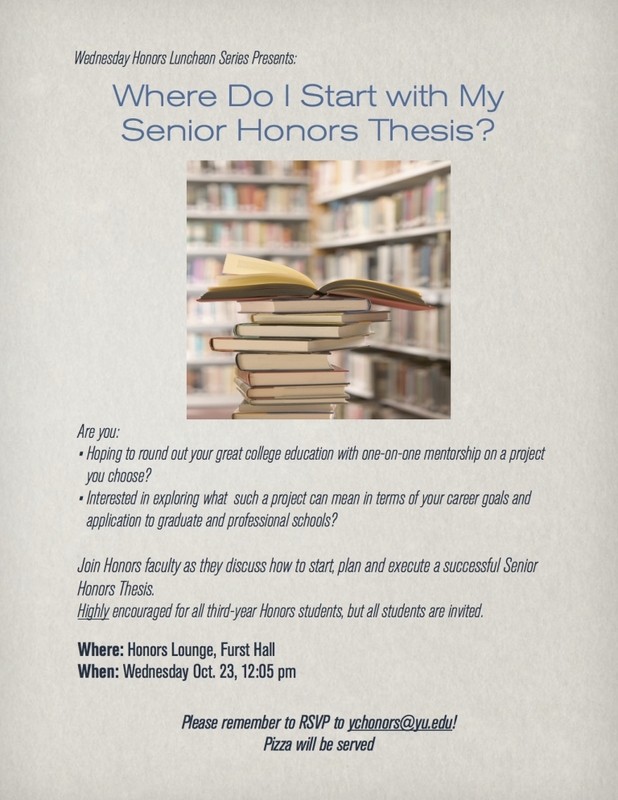 Please RSVP to YCHonors@yu.edu if you are interested in attending. Join us this Wednesday, Oct. 16th, to learn more about the prize-winning achievements from this year. In Belfer 218, at Club Hour (5:45 PM), six professors from Stern College and Yeshiva College will each give six minute talks about what won this year’s Nobel prizes. Refreshments will be served. 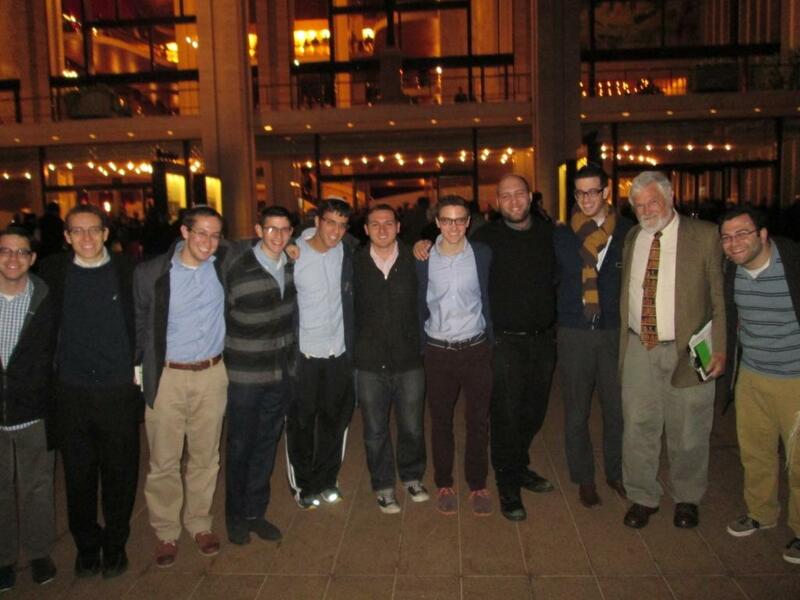 Here is the JJS Honors Newsletter October Issue 5.1. 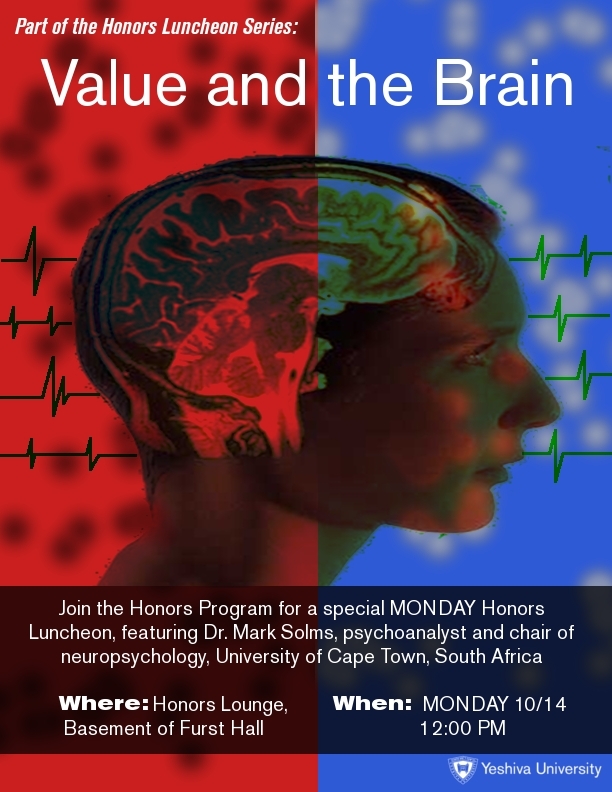 Join us on Monday, October 14th, for a special luncheon with Professor Mark Solms, chair in Neuropsychology at the University of Cape Town, who will speak on “Value and the Brain”. Pizza will be served. Please RSVP to YCHonors@yu.edu if you would like to attend.